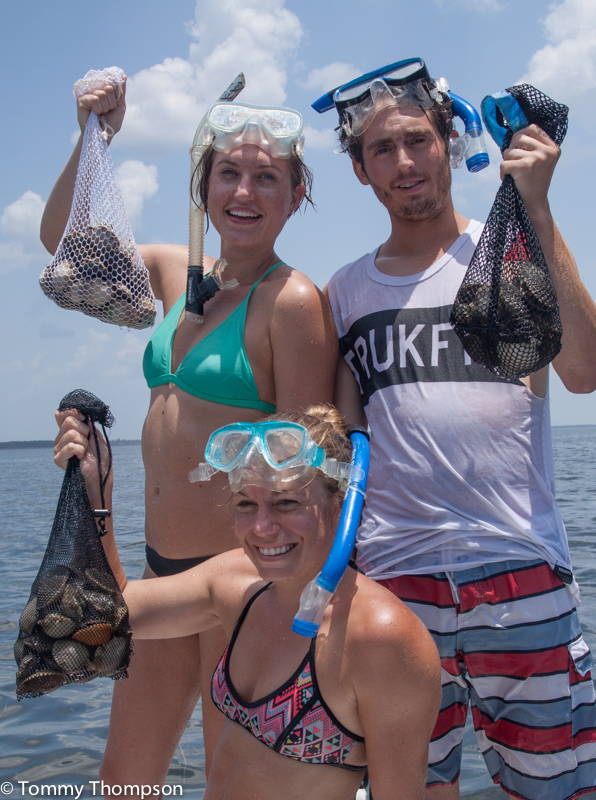 Going Scalloping On Our Natural North Florida Gulf Coast? Plan Ahead! Participating in Florida’s bay scallop harvest (see: Bay Scallops: The Gulf of Mexico’s Tastiest Treat) is lots of fun, but before you head out the door and head to Steinhatchee, Keaton Beach, or St. Marks (all in Natural North Florida! ), you’re advised to do some preliminary planning. 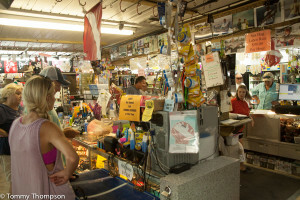 Other than the “simple stuff”, like having your boat, motor and trailer all operational, sunscreen packed, and being sure everyone over 16 (or exempt–see myfwc.com) has a Florida saltwater fishing license, there are some things to expect when you arrive at your selected port. This is what scalloping is “all about”! First and foremost, expect long lines–everywhere. 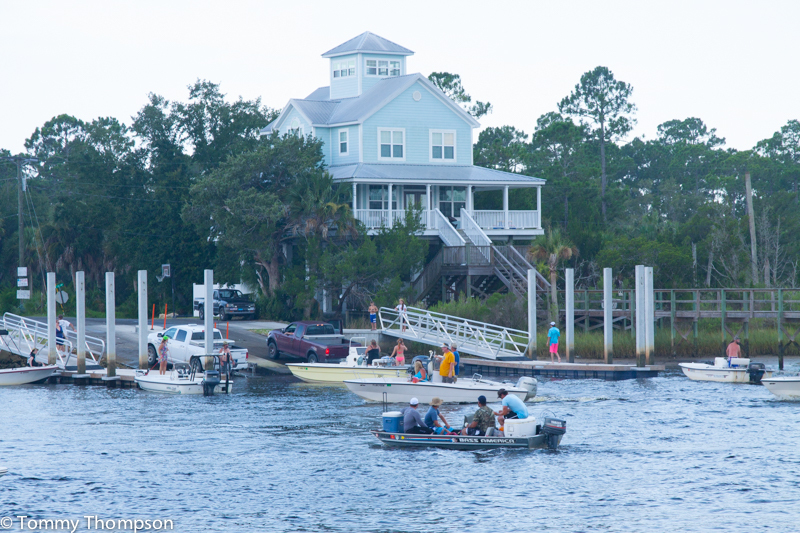 The 2015 scallop season is exceptional at all our ports, so boat ramps are busy. Also, don’t expect short lines at restaurants and be sure to call ahead about lodging. 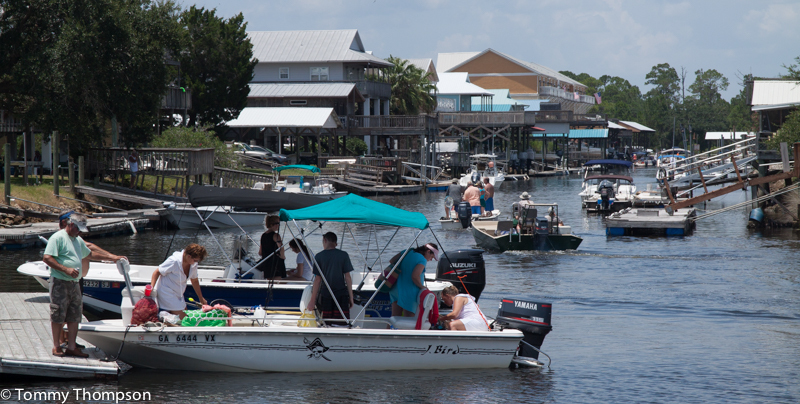 After a busy day of scalloping, crowds at Keaton Beach, await their turn at the boat ramp. 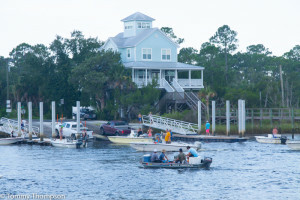 Steinhatchee has two public boat ramps. This one is on the Dixie County side of the river, across from the Sea Hag Marina. And finally, but equally important, be patient and neighborly. Lots of folks are scalloping for the first time, and are not prepared for the crowds. If someone needs help with a boat or trailer, lend a hand. Or if they’re lost, head them in the right direction. 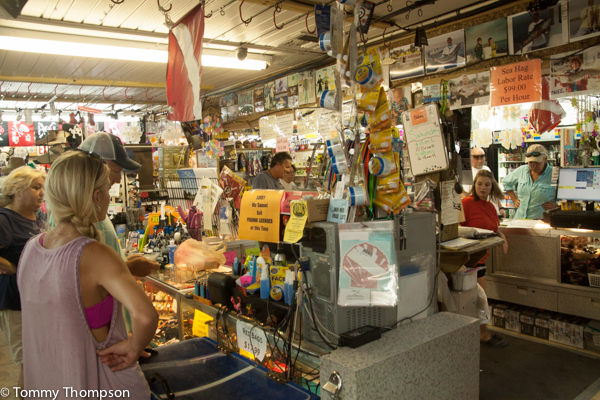 Stores, restaurants and marinas are busy this time of year–be patient! Just remember, scalloping is supposed to be fun!